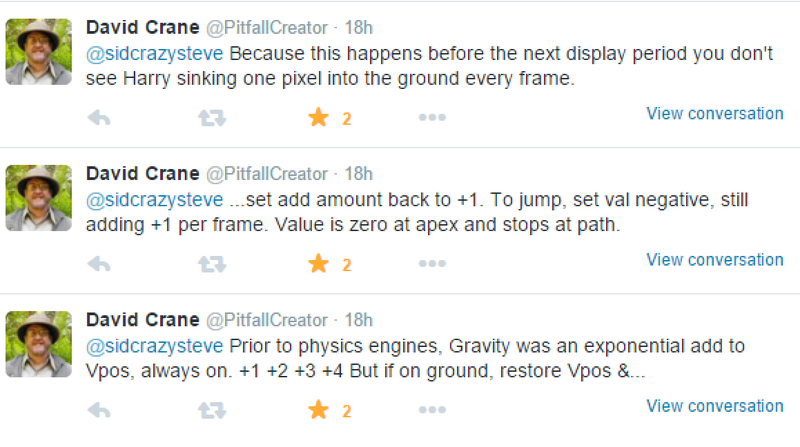 I asked David Crane via Twitter about how he handled gravity on Pitfall for the Atari 2600. Believe it or not he replied which is so amazing I cannot even find the words to describe my joy. Here is the actual tweets. Since we have published a game for the Atari VCS I wanted to take a very hard look at other genres that are popular on this system. One of the first is a type of run and jump game design made popular by the amazingly talented David Crane called Pitfall! 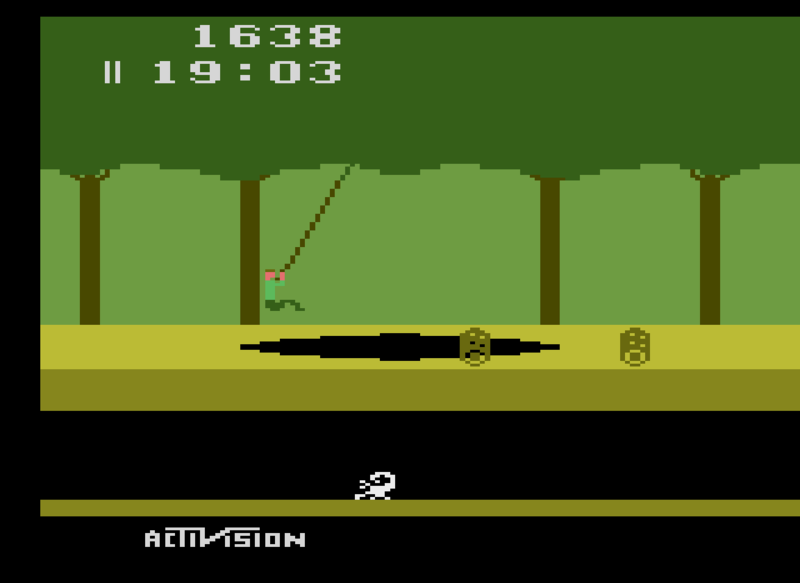 If you are not familiar with Pitfall, it’s a game where you control Pitfall Harry as he tries to make it through the jungle alive. He can collect gold, diamonds, and other treasure along the way but the real fun is swinging on vines, and going up and down into different play areas. You accomplish this by pressing the fire button and Harry will jump into the air. What makes this all the more incredible for me is the Atari 2600’s limited hardware capabilities. It was designed primarily for games like Video Olympics and Combat and getting it to do anything else is very difficult for a programmer. Now the reason I find this so fascinating is somewhere in the game there is some sort of gravity that makes Harry fall back to the ground. Not impressed? Think about it like this, from what I can ascertain the gravity looks to be on all the time. 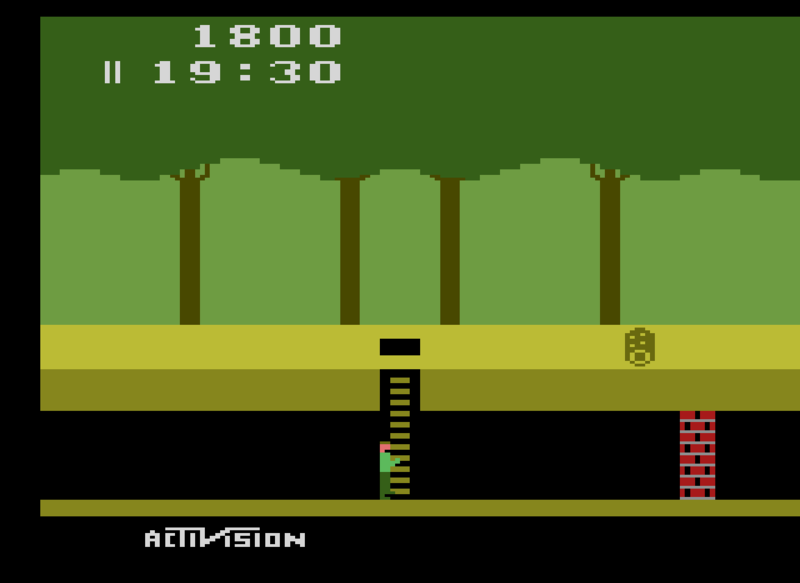 For example, when you begin the game Harry drops to the ground right before you can control him in any way. Second, when you are running along and hit a pit of any kind, you instantly fall. Same goes for when you are swinging on a vine and push down on your joystick. Boom! You hit terrafirma! So somewhere I bet David has a routine for turning off the gravity, most likely when pressing the fire button, then switching it back on to bring Harry back to the jungle floor. Now I have met David Crane at numerous conventions and he is very nice and friendly and will always entertain questions of any kind. But I have never got the nerve up to ask him myself about how he handled Harry in his first adventure when it comes to gravity. If I am lucky enough to meet up with him again I will try and bulk up my courage and ask, but if you happen to see him and you’re curious, ask yourself. I can’t help but be impressed by something that may seem like a simple execution of code, but in reality is a very tricky implementation. 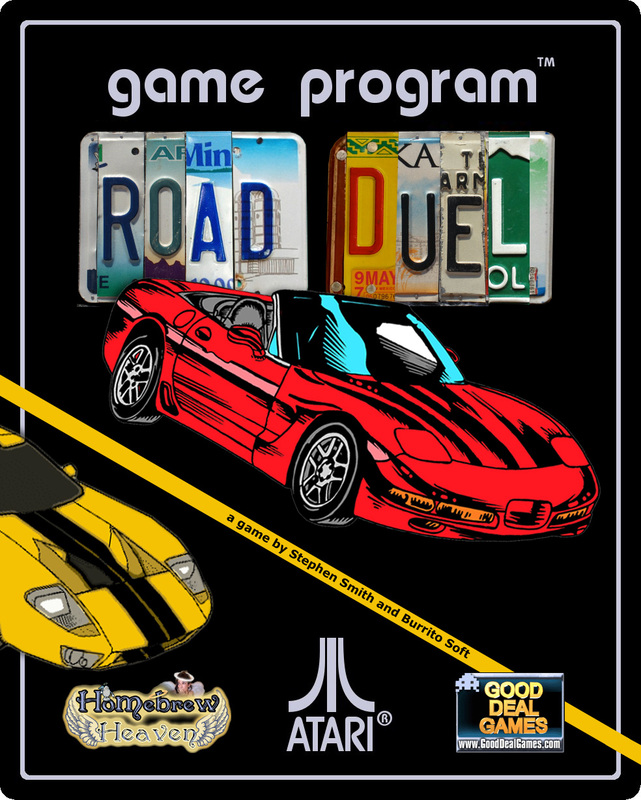 I’ve added a video of gameplay footage for Road Duel for the Atari 2600. You can get a copy at Good Deal Games. http://www.gooddealgames.com/. Enjoy! Hello, for my first blog post I would like shamelessly advertise my first complete game. The game in question is title Road Duel and it pits you and your driving skills against and onslaught of enemy vehicles. You must power up your nuclear powered engine by collecting fuel canisters. Once fully powered up your car will rocket past your enemies. But be warned your enemies will become faster and far more deadly with every stage as you progress through the game’s different locales.